BIKE ATTIC - Full service mobile bicycle repair shop! Bike Attic is "Attic"ted to saving your time, by coming to you! Our goal is to be the best mobile bicycle repair shop in the Lake County area... Green Oaks, Libertyville, Mundelein, Vernon Hills, Volo, Gurnee, Lake Bluff, Lake Forest, Grayslake, Buffalo Grove, Lincolnshire and other surrounding villages; willing to travel to South Eastern Wisconsin. Bike Attic is a small independent full service mobile bicycle repair shop; based out of Mundelein in Lake County Illinois. That's goal is to save you time and be the best mobile bicycle repair shop in the Northern Illinois area. We strive hard to provide the best service and best prices. At present Bike Attic is Mundelein, Illinois first and only mobile bicycle repair shop. A full service repair shop on wheels, specializing in road, mountain, hybrid, and children's bikes. 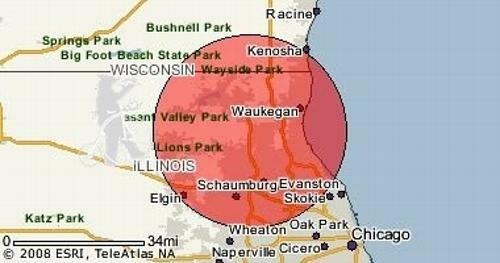 includes Northern Illinois and South East Wisconsin (25 mile radius of 60060). call us at 1-847-949-5077. If you call after hours or when we are unable to answer, please leave a detailed message and we will get back to you as soon as possible. If something is missing on the site, call or email us and we'll do our best to assist you. Please explore our current news page often for up-coming events and sign up on our website guest book cycling updates.